Which IT Support Approach is Right for Your Small Business? There are three main approaches to IT support. Which is best for your business? The option you choose could require an upfront investment, but save money in the long run or save money up front, but cost you more down the road. Each IT support approach has benefits and potential drawbacks, so it’s important to tailor your solution to the IT needs of your business and of course your budget. The first approach to IT support that many small businesses still use, is exactly as it sounds – when something breaks, be it a server, workstation or hard drive, the IT staff takes a reactive approach and attempts to fix it quickly. This break/fix approach has some very serious drawbacks. Whenever there is a break, downtime can occur, sometimes significant amounts of downtime. Depending on the nature of your business, that downtime could be enormously costly not only financially, but also in terms of customer trust and loyalty. The second approach to IT involves regular maintenance visits your business. The goal of this approach is to eliminate, or at least minimize downtime by detecting problems before they become major issues. By employing regular maintenance visits, you can stay one step ahead of hard drive failures, server crashes and other events that could result in downtime and the loss of company data. While the use of regular maintenance visits is preferable to waiting for something to break, it too has drawbacks. Since maintenance visits take place on a regular schedule, they could result in a straightforward check-up, with no actual maintenance to be performed. This approach also leaves you without constant oversight of your network. It’s clear that the first two approaches can be problematic. Regularly scheduled maintenance visits can result in fruitless efforts, while the break/fix approach could result in significant downtime and lost revenue. The third approach to small business IT support is superior in a number of ways. The managed services approach addresses both the problems of break/fix as well as those in regularly scheduled maintenance. By taking a proactive approach to IT, the managed service model can detect looming problems before they manifest themselves. You may not notice the warning light on the server or understand the importance of the grinding noise your hard drive is making, but through managed services, these problems are detected immediately and remedied – often before you realize there was an issue to begin with. Rather than waiting for the hard drive to fail with the break/fix model, or hoping the warning coincides with a scheduled visit, the managed service approach resolves both of these issues remotely, before it results in hardware damage or significant downtime. In order to understand the value of a managed service provider (MSP), it’s important to distinguish the difference between reactive and proactive IT management. The first approach, break/fix, is reactive in nature. If your small business currently utilizes the reactive break/fix approach, consider these statistics on data backup and recovery. Data loss is inevitable: it is not a matter of if, but when. Leaving IT to chance could impact your employees, customers and your business for many years to come. As a managed service provider, Ontech Systems can provide a host of important benefits to your small business. Rather than scrambling to respond to a crashed hard drive or trying to fit all necessary IT tasks into a rigid maintenance schedule, the managed service model is an inherently proactive one. MSP solutions can help you eliminate downtime and lower costs overall with consistent oversight of your network at all times. It’s the logical choice for small businesses that encounter frequent IT issues, want to lower overall IT costs and define a set IT budget. If you’re evaluating managed service solutions, call us at 262-522-8560 or reach out to us online to discuss how we can help your small business become safer, more secure, more productive and ultimately more profitable. This is the sixth and final article in our small business IT support series. We’ve touched on how disaster recovery can get your business back on track after a fire, flood or other challenge. We covered the growing trend in VOIP solutions for businesses looking to reduce their communication costs. And finally, we discussed how cloud computing services can provide safe storage for your vital business files, along with secure access for your staff no matter where they are located. IT support is necessary for every small business the importance of a solid IT support system is only expected to grow in the coming years. 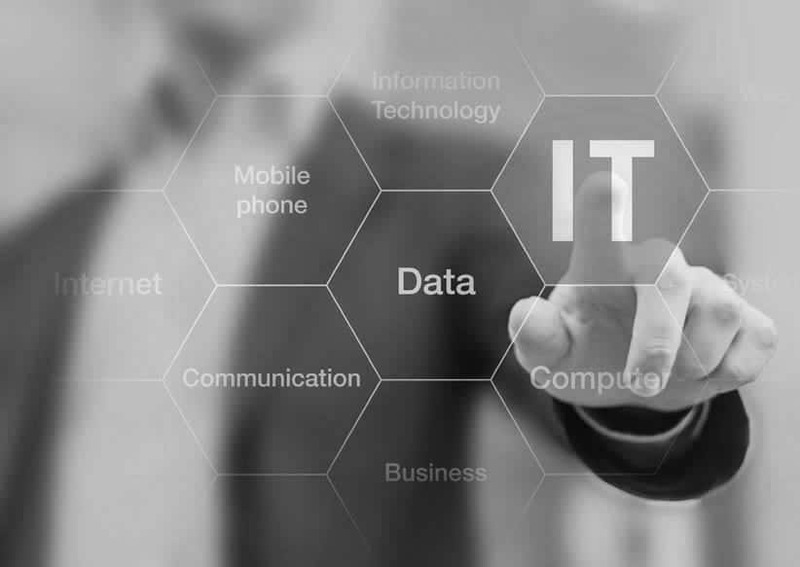 If you have not yet addressed your IT concerns, the team at Ontech Systems are here to help.